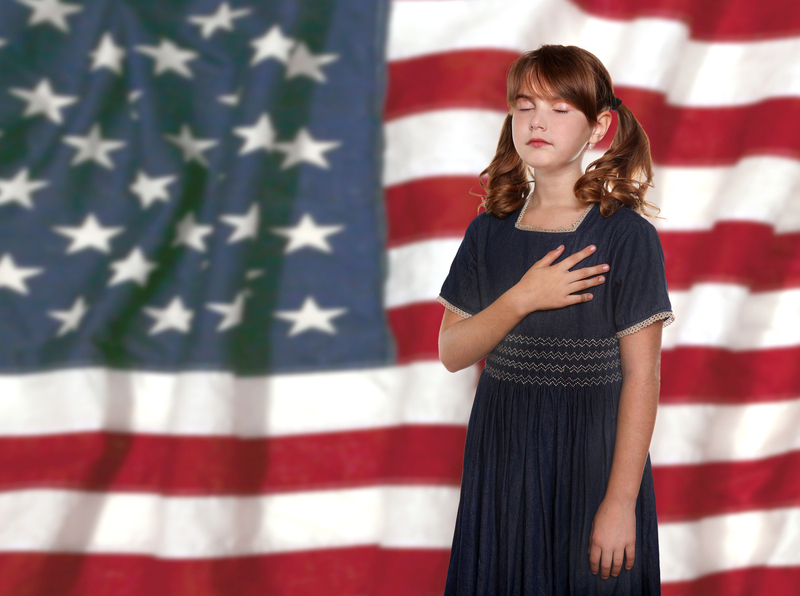 Child saying the pledge of Allegiance to United States (licensed image from BigStockPhoto). Child saying the pledge of Allegiance to United States flag; . Photo by [file:field-file-photographer]/[file:field-file-source] ([file:field-file-license]). with liberty, and justice, for all. “I believe in the United States of America, as a government of the people, by the people, for the people; whose just powers are derived from the consent of the governed; a democracy in a republic; a sovereign nation of many sovereign states; a perfect union, one and inseparable; established upon those principals of freedom, equality, justice, and humanity for which American patriots sacrificed their lives and fortunes.